WISCASSET, Maine — Winter and wet weather spanning the first few days of April makes it tough to get a seasonal spring and summer staple up and running. 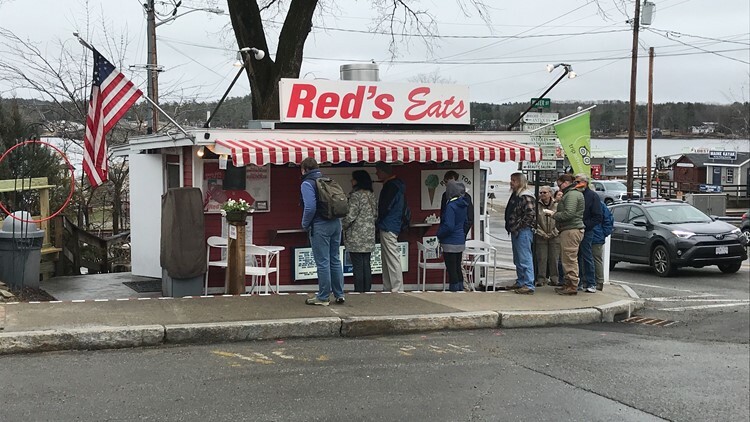 It doesn't prevent patrons from coming long distances to get one of the first lobster rolls at Red's Eats. When NEWS CENTER Maine arrived at the popular lobster roll joint on Monday, there was already a line forming. The first two patrons, waiting for the window to slide open, went to Red's on closing day in 2018. 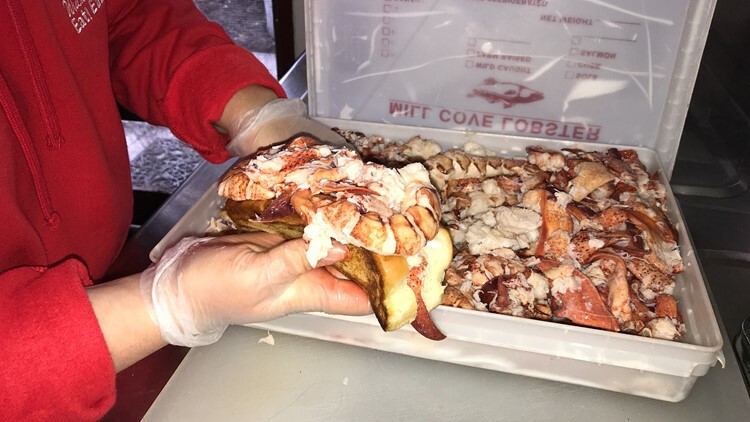 Pam and Hal Adams made the drive from Long Island, New York, to taste the toasted bun, local dairy butter, and overstuffed lobster meat sandwich during the joint's grand opening. Red's Eats was bought by Allen "Red" Gagnon in 1977. Debbie, one of his children, was serving up food at the start of its 81st season. “These are regular customers, you know, and it doesn’t get old hat to me,” Debbie Gagnon said. “Year after year, they wait in line and they make their way back up to the window and say ‘That’s the best I ever had.’ It doesn’t get any better than that." Gagnon says they are rolling out paper straws, upon request, this year to be more environmentally friendly. "We really care about our oceans and our earth, our environment, nature, so every little bit that we all can do will help,” she said. Red's Eats plans on swapping out all of its plasticware in the future.